TVCC has four locations in Eastern Oregon, and one in Western Idaho. Our main campus is in Ontario, Oregon. The college has an outreach center in Burns as well as a center in Caldwell, Idaho. You can learn more about the multiple locations by selecting from the choices below. Visit a classroom, meet an academic advisor, see the residence hall, and more. While we would love for you to visit our campus in person, we understand it isn't possible for everyone. Now you can explore our campus by clicking on the numbered icons in the maps. Do you have a question or need to get in contact with us? TVCC is ready to help. Search the complete directory listing for departments, faculty, and staff at the College. 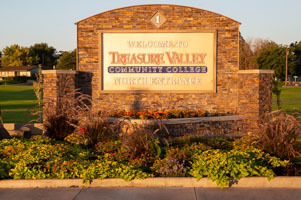 Treasure Valley Community College opened in 1962, holding afternoon and evening classes at Ontario High School. Since that simple beginning, TVCC has grown to 14 major buildings, including the Laura Moore Cunningham Science Center, which opened its doors in 2013. Main campus amenities include a sports complex where our baseball, softball, tennis, and soccer teams compete, and the Four Rivers Cultural Center and museum, which houses our Performing Arts Center. The Caldwell Center is an off-campus center of TVCC and offers college preparation, college transfer, and professional-technical classes in a beautiful three-story building built in downtown Caldwell, Idaho. The Caldwell Center offers a broad range of student services including advising, placement testing, registration, financial aid assistance, and career planning. Students also have access to tutorial support and student activities. Classes may be taken face-to-face, via interactive video conference with the Ontario campus, or on the web. The Harney County Outreach Center is located in Burns, Oregon, next to Burns High School on Highway 20. It provides the opportunity for students to attend college classes through Distance Education to earn a degree or to update their current skills. The Outreach Center also offers classes in Adult Basic Education and GED preparation. 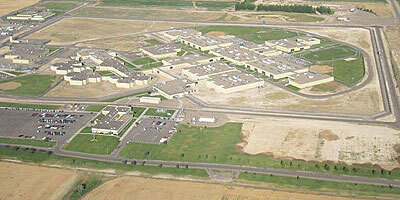 TVCC Corrections Education Centers offers two types of programs for inmates at the Snake River Correctional Institution (SRCI) in Ontario, Oregon and Warner Creek Correctional Facility in Lakeview, Oregon. We provide educational services to approximately 650 students per year, as part of our contract with Oregon Department of Corrections Education and Training Unit in Salem with the goal of preventing future victims and reducing recidivism. Need some options for viewing the Ontario Interactive campus map?